A mother lost her battle with cancer just days after giving birth and marrying the love of her life. Tracey Keers had to deliver her daughter, Kyla, prematurely at 28 weeks, after it was discovered she had terminal cancer. 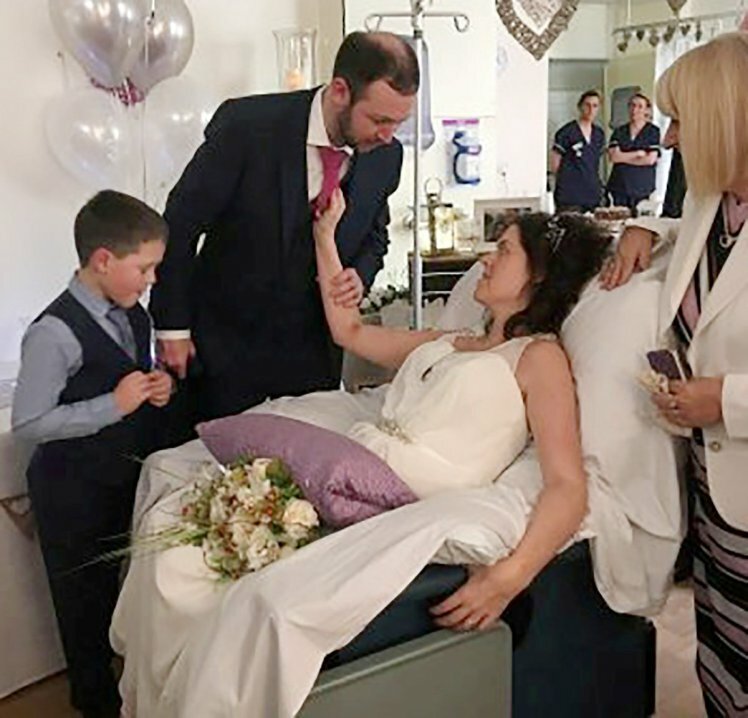 The 33-year-old and her husband Steven, who also have a seven-year-old son Kieran, got married on Good Friday in James Cook University Hospital in Middlesbrough. Tracey died in Steven’s arms just over a week later on Sunday. Steven, 35, said Tracey, who worked at Durham University, was first diagnosed with breast cancer in 2016. She underwent a mastectomy, followed by chemotherapy and radiotherapy before going into remission in July 2017. Steven, from Seaton Carew, said: ‘We knew we wanted another baby, so we had IVF treatment and successfully had 13 eggs frozen. 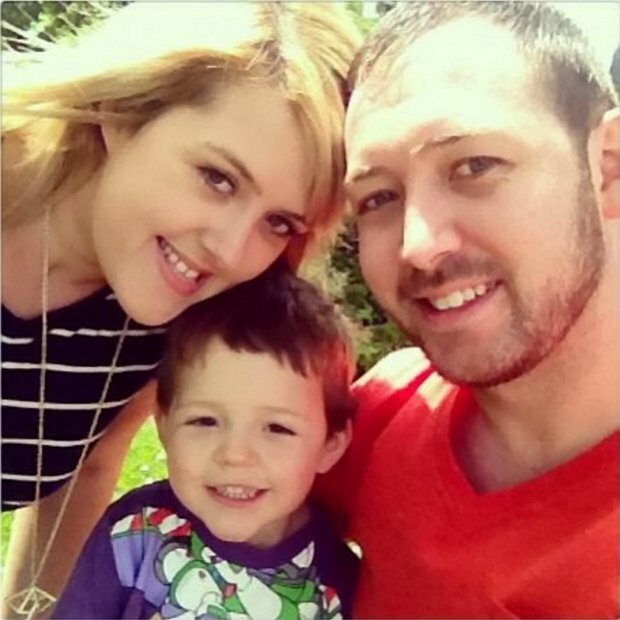 ‘But she fell pregnant naturally in September and we were absolutely elated because we didn’t think that would happen.’ However the couple’s joy was short lived as Tracey began to have severe headaches and sickness. As Tracey was 24 weeks into her pregnancy, doctors broke the devastating news that her cancer had returned and it was terminal. Steven, who works for a games company, said: ‘They gave her three to six months but, Tracey being Tracey, she never gave up and was always fighting.’ Four weeks later, Tracey started having seizures and doctors needed to deliver Kyla, weighing 2lb, by caesarean section on March 19. Steven said: ‘They said she might not wake up from the C-section, but luckily she did come through it. ‘Tracey was so worried that she might never get to see her daughter, but she did.’ Just over a week later on March 30, the couple were married at the hospital. Steven said: ‘The staff said because it was a weekend we could use the day room. ‘I wanted to make it as special as I could for her, so I contacted friends and we had the room all decorated. ‘A bridal shop donated a dress and I got suits for me and Kieran. I think she was quite shocked when she saw the room.’ However, Tracey continued to deteriorate and on Sunday, her breathing started to change. Steven said: ‘I got up onto the bed and held Tracey in my arms with her head on my chest and she passed away peacefully.